Not a lot to report on from a training and racing perspective, as I have done none. Will see a hernia specialist at the end of March, but until then I am being very careful. Unfortunately this has meant pulling out of the first events of the season ; Swimathon, GutsMuths Rennsteiglauf and Malvern Hills Ultra. I have kept the Enduroman 50 pencilled in for 31 May, but will not start unless I am both over the set-back and have managed to do some decent running, otherwise it would just be another DNF like last year. On 1 March I turned up at the Bristol Green Man Ultra to both support my brother Dean (who was running) and do some marshalling (taking times/race numbers) at aid station 1. 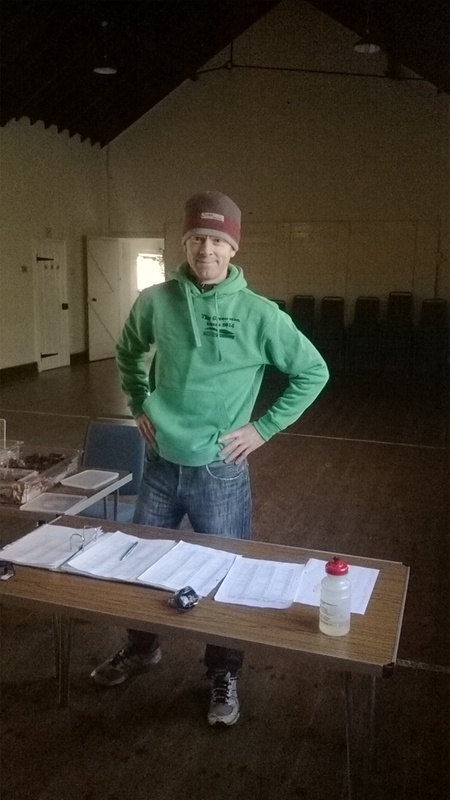 I’ve not manned an aid station before so this was a new experience. And have to say it was harder than I thought. Thankfully Yve was there to give me a hand. Without her I’m sure I would have made a number of mistakes, but I just about got away with it. I have always appreciated the time and effort required by race organisers and the staff, but more so now. Great to see the event had filled up in advance, and there was a good buzz on the day. 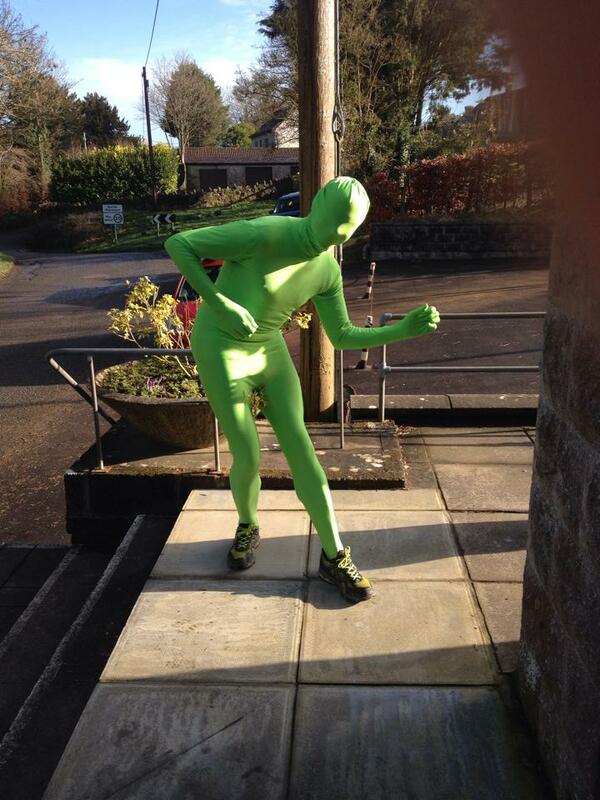 Even the Green Man himself turned up to hand out some spot prizes and scare the locals! Unfortunately my brother was carrying a foot injury, which forced him out of the race. He’d still covered some 26 miles over mud and hills with foot pain. With the new lay-off I have been thinking once again about what I can do in the future if I’m hampered. The frustration passed a long time, and I am now a lot more resigned. Of course situations change and I have to hope I can get back into the kind of form I was in for January and that the recent set-back will pass in the following months. I can still be competitive for the latter half of the year, although some challenges (multi-day trail running) are looking unlikely as they require a more extended base.